I have definitely taken time off from blogging about tennis for the past month! The colder, wet weather has taken my mind off the tennis game. It always happens every year when I do not play/think about tennis. I would call this time my break so I do not burnout. I have just been catching up on all the Australian Open matches that I have missed. My home DVR records all tennis segments from all channels so I do not miss a thing! So I have hot gone through ALL the matches yet. So far…there are lot of good matches have been going on! I really liked the Federer vs. Davydenko match. 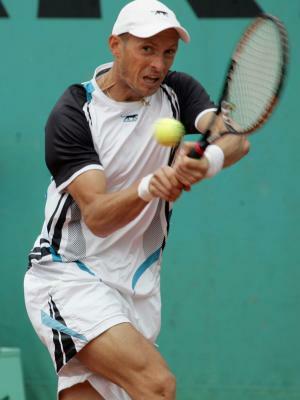 I choose Davydenko as my favorite player in the top 10! I just like his two hand backhand and his swift speed on the court. The other match that I really liked was the Roddick vs. Gonzalez. At first, I thought Roddick would just pick on Gonzo’s backhand when serving. Gonzo picked up his game and fought a tough match. I know the Roddick vs. Cilic match was good because I have seen the score. It still in the DVR and it is the next match I am going to watch before the finals this weekend. GO WATCH THE FINALS ON ESPN2!